Ready to stand in luxurious comfort? 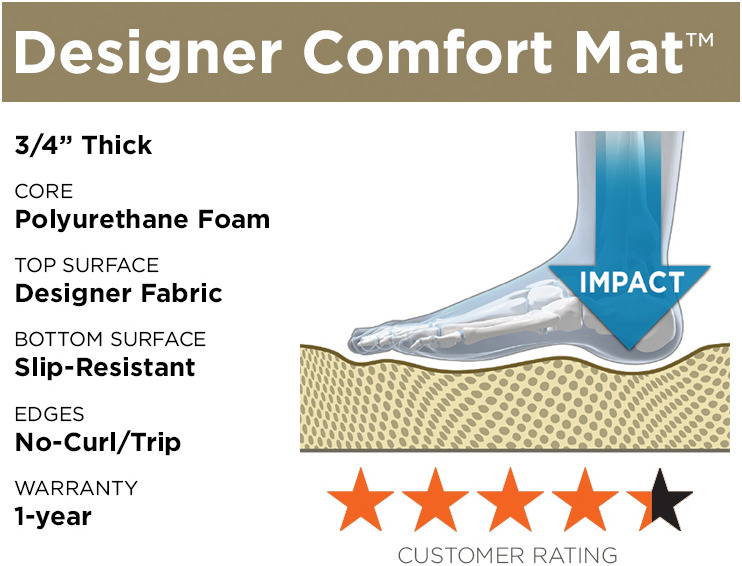 Choose the ideal comfort level for you and your feet. Indulge in the plush, deep-cushioning support as your feet rest on the world's most comfortable floor mat. 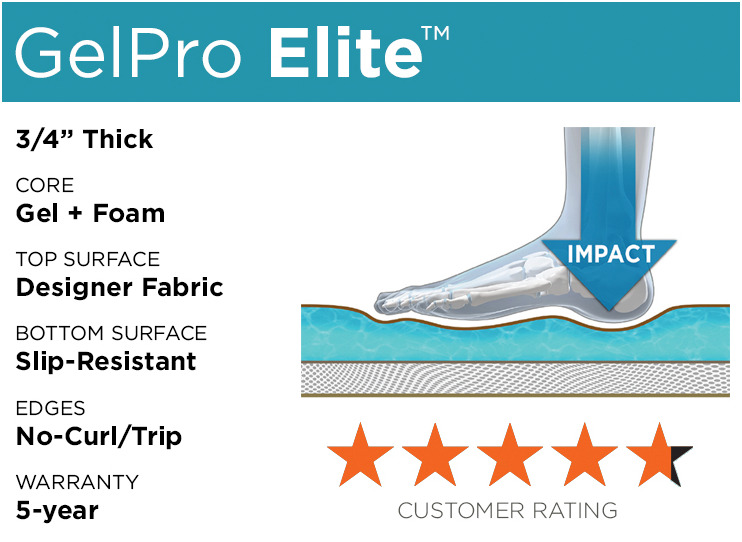 GelPro Elite features a 3/4" thick Dual Comfort CoreTM of patended gel and energy-return foam designed to prevent physical discomfort and fatigue while promoting proper circulation. This revolutionary comfort solution is perfect for anyone suffering from physical discomfort, plantar fasciitis, osteoporosis or arthritis. 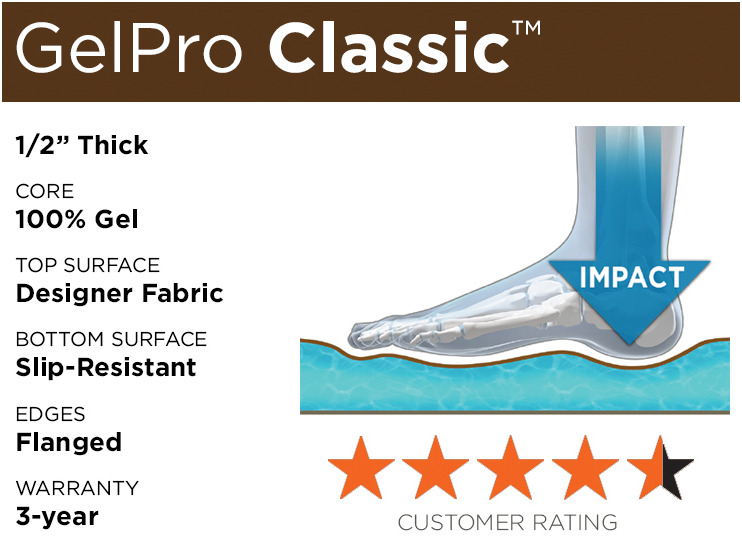 GelPro Classic is the original gel-filled comfort mat. Featuring a 1/2" inch of 100% gel core, this premium comfort mat relieves the pressure and stress from your feet, back and legs while reducing discomfort. Constructed with eco-friendly Bio-Foam®, NewLife Professional Grade Comfort mats are touch enough for the demands of heavy household traffic while delivering proper support. 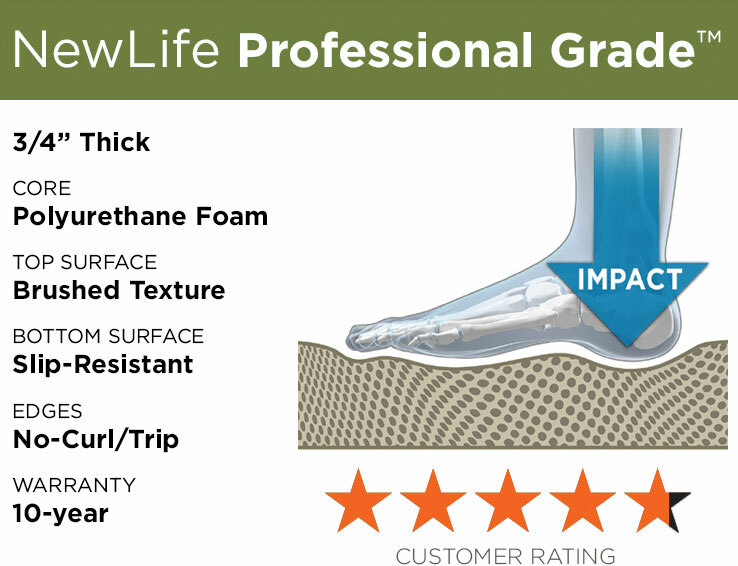 Unlike memory-foam products, NewLife's deep-cushioned comfort never loses its bounce and restores energy while you stand. Featuring an Ergo-Foam core with a polyurethane material top surface, this light-duty mat provides a perfect blend of comfort and support at a great value.